I love Thai food. I love burgers. So, I thought this recipe could be a good one when I came across it. 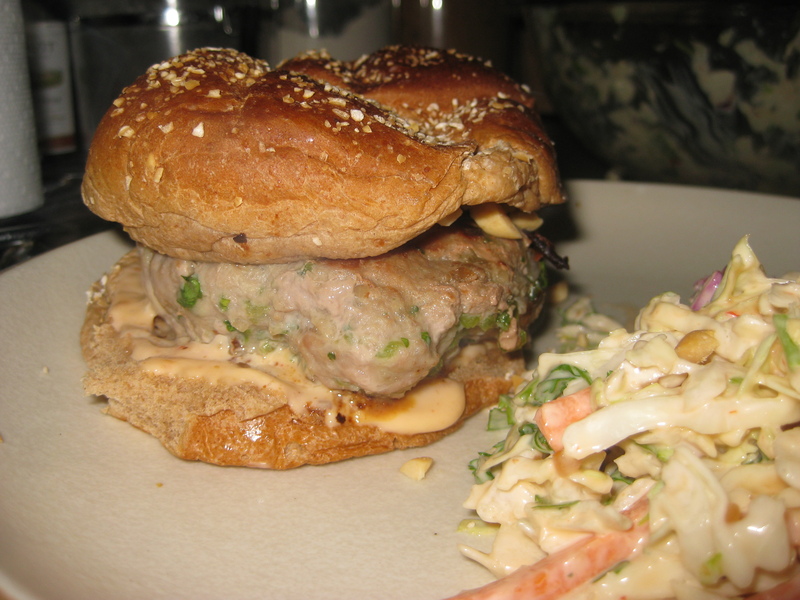 As you know, I am a stickler for adding moisture to turkey burgers so they do not dry out, and this recipe has a great paste of shallot, cilantro, ginger, jalapeno and fish sauce. 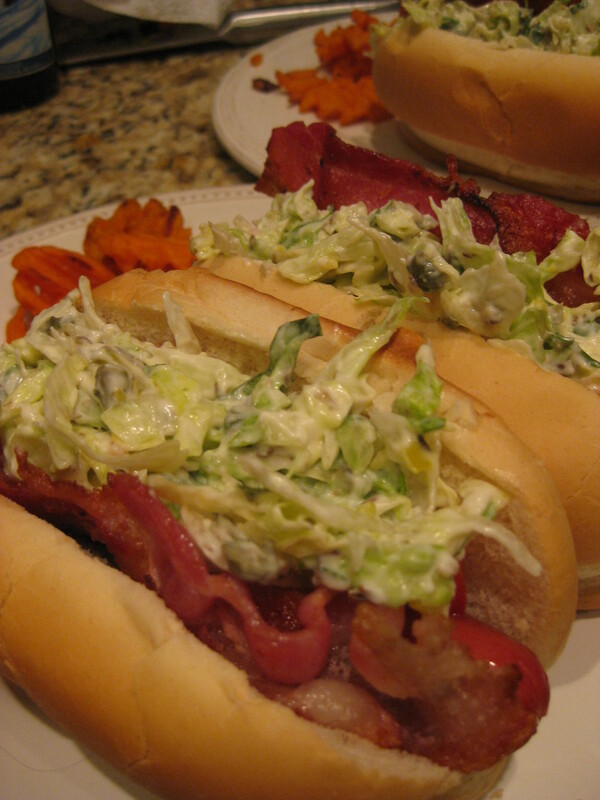 The fish sauce really gives it great moisture – then the spicy mayo gives another great element. Instead of Sriracha I used a sweet spicy sauce (called sweet chili sauce) so I would recommend using whatever Asian sauce you have, really! I made this with an Asian slaw I came up with on a whim. I just took a bag of pre-cut slaw and added a dose of the sweet/hot Asian mayo to it along with some cilantro and ground peanuts. Tasted great! We will be making this one again. It is a great twist on burgers (and is healthier than beef!). Thanks to Food & Wine for this great recipe! In a mini food processor, pulse the shallot, cilantro, ginger and jalapeño with the fish sauce until chopped. Transfer the mixture to a bowl and knead in the turkey. Using slightly moistened hands, form the meat into four 4-inch patties, about 3/4 inch thick. Light a grill or preheat a grill pan. Brush the burgers with oil and grill over moderately high heat, turning once, until golden and crusty and just cooked through, 8 to 10 minutes. In a small bowl, combine the mayonnaise with the Sriracha. Spread the mixture on the rolls. Top with the burgers, pickles, lettuce, mint and peanuts, close and serve.